Frozen in time and and coated with a layer of ochre desert sand, Al Jazirat Al Hamra is a hamlet of perfectly-preserved Ras Al Khaimah history. And dust isn’t the only thing covering the town; it’s shrouded in mystery, surrounded by rumours and possibly even haunted by ancient ghosts. Just 12 or so miles south of Ras Al Khaimah’s main town, off the highway that speeds past Ice Land water park and a giant mall, lies an old pearl fishing village. Once a thriving community, it’s now a sort of open air museum, but without the ticket office or cheesy audio guides. The Ghost Town of Ras Al Khaimah, as it’s often called, is not really on the tourist map, nor has it been earmarked for demolition to make way for new developments. It’s no surprise, really, given that this emirate – sometimes referred to as the “rebel emirate” isn’t joining its famous neighbour’s race to build the biggest, tallest or longest of anything. 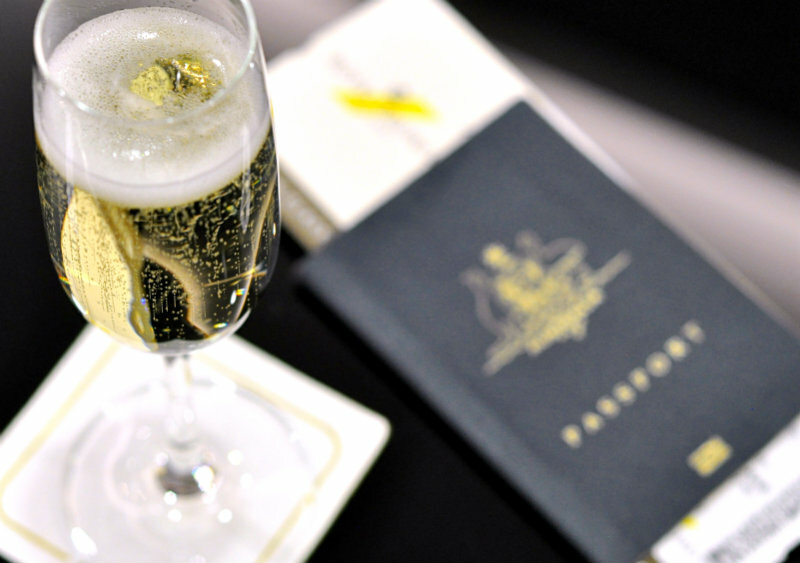 It can’t compete with Dubai – and doesn’t want to, anyway. 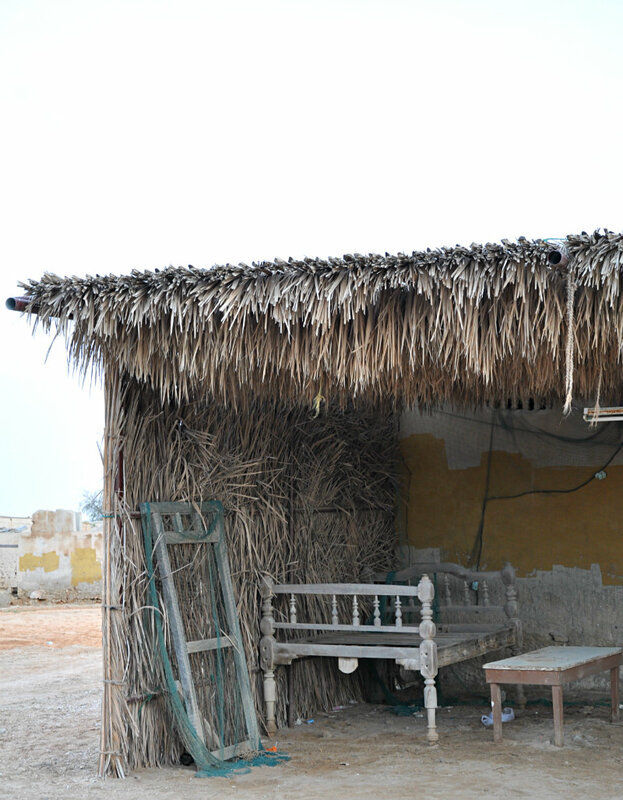 Ras Al Khaimah has a rich and fascinating history, which it’s proudly determined to preserve. In the 14th century, Al Jazirat Al Hamra was built by three local tribes, including the ruling Za’ab tribe. The piece of land was once a tidal island, and the name Al Jazirat Al Hamra translates literally from Arabic to mean “red island”. In around 1830, an estimated 200 people lived in this small village, with most of them earning their living as pearl fishermen. The population swelled to around two thousand in the 20th century, right before the whole lot abandoned their homes. The buildings were built from coral stones, held together by mud and covered by a roof of woven date palms, much like the other pre-oil era buildings in the area. It’s incredible to think that they’ve withstood the tests of time, through hundreds of years of blazing sun, biting sandstorms and tribal conflicts. It was these very conflicts that were said to have caused the villagers to leave some time in the 60s, although rumours vary, depending on your source. Some say it was the promise of prosperity that led the locals of Al Jazirat Al Hamra to Abu Dhabi. Others muse that a tribal dispute with the leader of Ras Al Khaimah forced the villagers to seek safety in their neighbours’ land. Still others insist that it was ghosts haunting the coral-and-mud dwellings that drove the inhabitants away. Whatever it was, they seem to have left in a hurry. Wandering through the town, it’s easy to see why people think it might be haunted. Peeking through padlocked doors, I spied a forlorn classroom complete with ramshackle desks and benches. Another building revealed a wooden bed frame, leaning away from a bedside table that was blanketed in fine red dust. A broken tile, a shredded flag snapping gently in the breeze, a once vibrantly-embroidered blue cushion that holds the secrets of a hundred casual conversations. Signs of life are everywhere, and yet life in this place is long gone – moved along to another city, and forgotten. Well, almost forgotten. 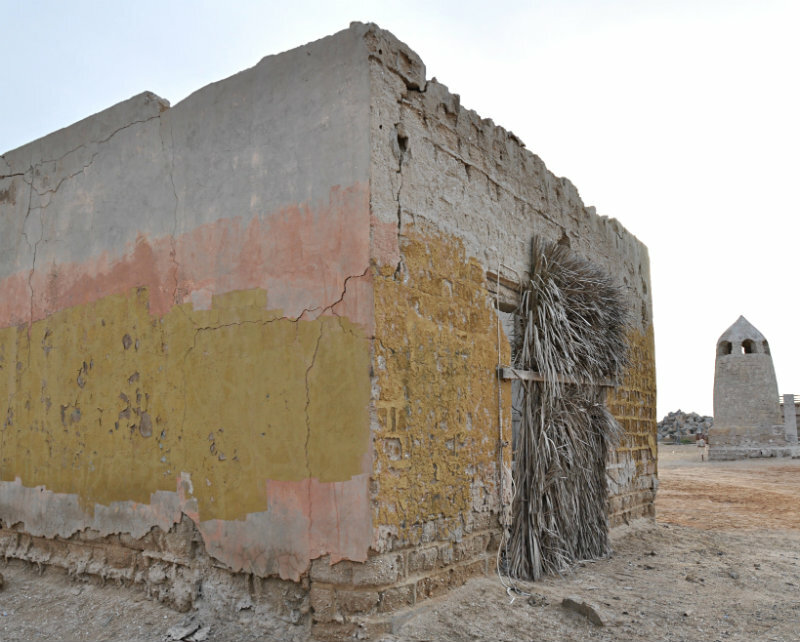 In 2011, a local resident who had grown up in Al Jazirat Al Hamra during its heydey began cleaning up the village, which had become derelict in the 50 years since the residents’ exodus. He gathered some of the other past residents who also remained in the area, and together they restored much of their old home. Huge sections of the village are still just piles of rubble – you can tiptoe through them if you like, although you do so at your own risk. There are no tour guides, no guards, and no warning signs. 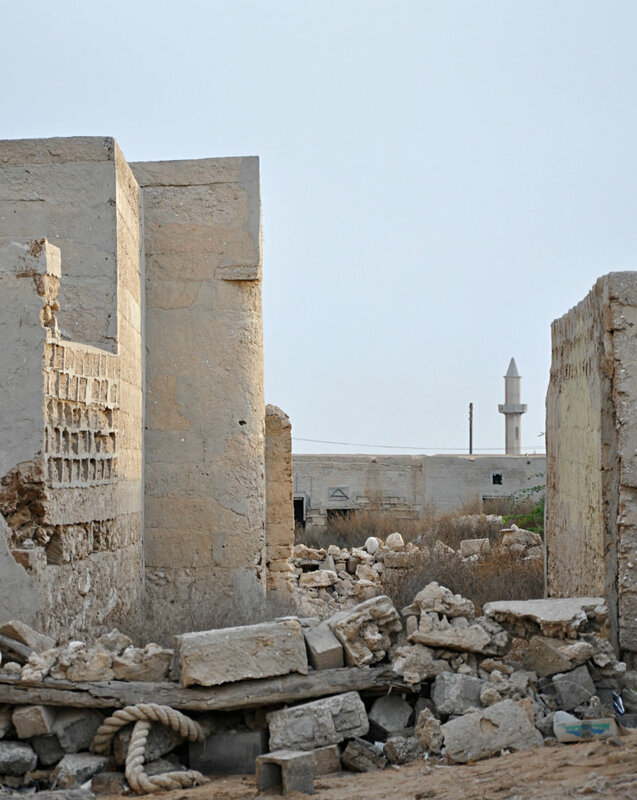 But the main street is tidy and curious – a boat stands guard in the main square, along with the shell of a car – said to be the first car in Ras Al Khaimah, and at the other end lies the village mosque. It’s a simple affair with no minarets, just a squat tower peering over the remains of what might just be Ras Al Khaimah’s most enchanting and mysterious destination. 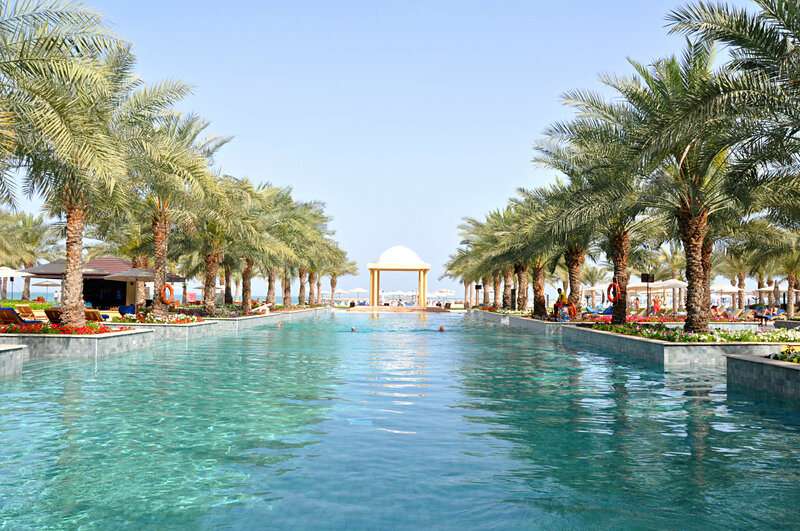 This post was brought to you by the #DiscoverRAK project, created and managed by iambassador in partnership with Royal Brunei Airlines and Ras Al Khaimah Tourism, but all opinions are my own. Fascinating read and I loved the photos. You often wonder about the places that get left behind by the rush to modernise, especially in the Middle East.